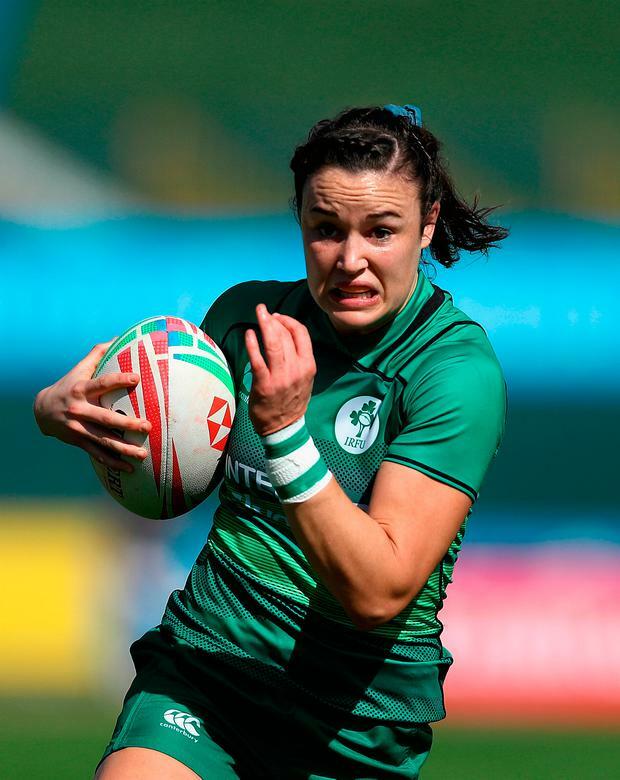 Ireland Women's sevens side set up a quarter-final meeting with Canada this morning (6.0am Irish time) after picking up two wins from three games on the opening day of the Dubai 7s. Ireland ran in four tries against Russia in their opener to get their campaign off to a flying start (26-0) with the prolific Amee-Leigh Murphy Crowe running in a brace as well as tries from, Louise Galvin and Anna McGann. Murphy Crowe has been making massive strides on the world series over the last year and the Tipperary native enhanced her reputation even further by scoring a hat-trick Ireland's second game - a testing 27-14 win over Kenya. Eve Higgins is another to have impressed and after her thumping tackle in the opener against Russia went viral, she showcased her attacking skills when scoring a brace to go with Murphy Crowe, who finished the day as the tournament's top try scorer. The girls in green ran into trouble in their third game however, as New Zealand ended their run (24-17) despite tries from Hannah Tyrrell, Brittany Hogan and Higgins. Next up is Canada who will come into the last-eight clash with a 100 per cent winning record having beaten Fiji, Spain and France on the opening day.